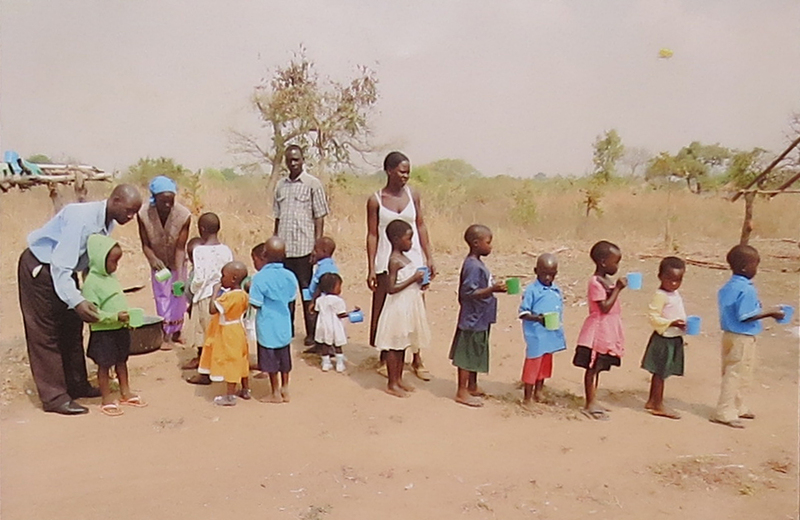 Okweta Primary and Nursery School is located in Okweta Village about 20 km from the town of Soroti in North East Uganda. The region is gradually recovering from many years of destabilization due to rebel activity and conflict which left the area impoverished. 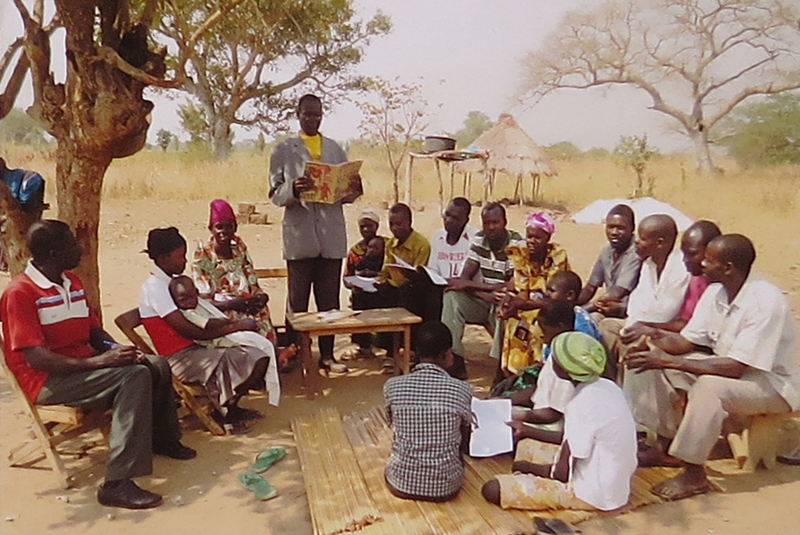 In 2013 parents and church leaders established the school to help improve educational opportunities for the local children. The school started with around 140 students in pre-Kindergarten through Grade 3. Parents contributed funds and labour to construct the temporary grass-covered, wooden pole structures. Being a remote rural community, there is no power or water on the two acres of land owned by the school. 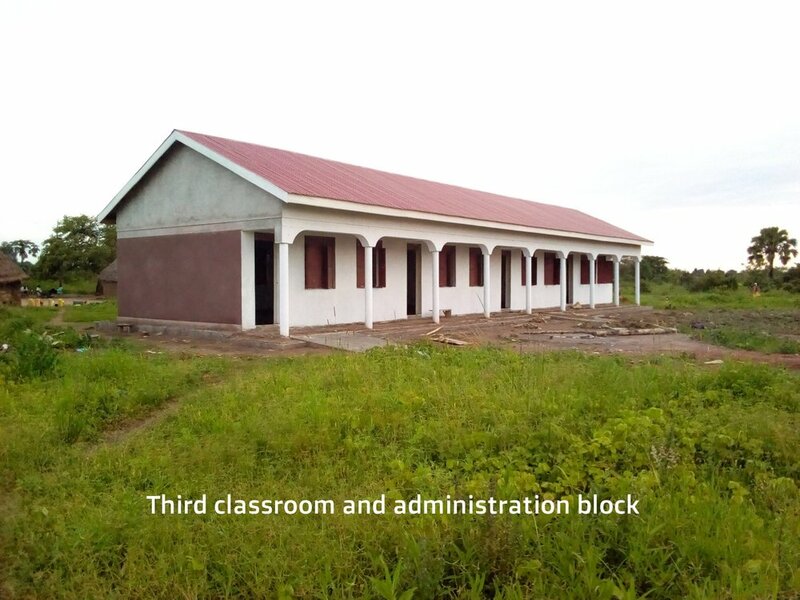 In 2015 Classrooms for Africa became involved and funds were raised to construct a permanent classroom block. In 2017 a second classroom block was constructed and in 2018 the third structure of classrooms and administration facilities was completed and officially opened with representatives from Classrooms for Africa in attendance. A kitchen to prepare food for the students and a water harvesting system have now been completed and desks provided to help equip the classrooms. 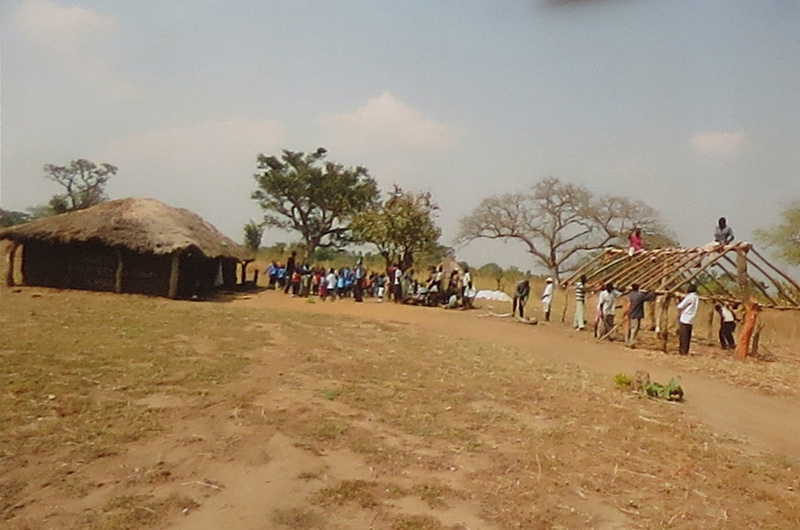 The community of Okweta is very supportive and excitement about the school. Enrolment at the school now stands at 265 with N1 through P7 grade levels offered.